MET, Mumbai Exclusive on ET Now! Home > Campus News > MET, Mumbai Exclusive on ET Now! 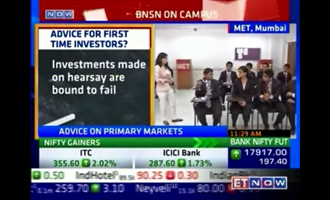 MET League of Colleges, Mumbai was creating headlines on October 23, 2015, being featured exclusively on National Television in the popular equity stock show ‘Buy Now Sell Now’ (BNSN) telecasted live on ET Now.